I gasped at the price of celery. $2.79 a bundle? The produce manager nodded her head. "It's only going to get worse. The delivery drivers are starting to strike." My sale-priced chicken would no longer make a thrifty chicken salad. I puzzled in my pantry. What extra ingredient could I add? I spotted a can of organic artichoke hearts, bought on clearance from Kroger. It worked. Are we all having to rethink our favorite recipes these days? I'm re-thinking recipes and actually enjoy the creativity of it. Like you did with the artichokes my main goal is to use what I already have on hand while scouring the store shelves for marked-down items. If I don't have celery, I substitute some celery seed. That at least adds the flavor of it. Looks good! Company for lunch this Friday? WOW. I paid $1.79 at Aldi's the other day for some. Celery is so nice for salads ... I make pasta salads with it in. Hi - new reader! Love your blog! We're eating alot less meat (particularly ground beef) to help keep the grocery budget trim. Instead of using ground beef for tacos, I've been using the Hillbilly Housewife recipe for taco style lentils and rice. Very tasty and we don't even miss the meat! Even our 3yo loves it! I think I'm moving to simpler things. Those ingredients that used to be every-so-often indulgences are now out of sight in price, so I've moved to simpler things. Sometimes substitutions work - the shrimp, cheese and rice casserole I love is just as delicious made with chicken. Otherwise, it's a matter of enjoying the freshest, most nutrious and cost-effective foods as possible. Yep, and it is kind of scary. I prefer fresh to canned 10 to 1 but it is looking like canned will have to be the favorite for a while. I usually cook with the "whatever I have on hand" philosophy anyway. if a recipe calls for celery and I don't have it I omit it. If I have something else I can substitute I do that. Very rarely do I go and buy things specifically because a recipe calls for them, so I haven't had to make too many changes yet. I am sure the day will come though. Yes! It's shocking. I'm also re-thinking gardening. I've never grown celery - this might be a good time to try it. On the plus side - what an opportunity to come up with creative menu and recipe substitutions. Sounds like a creative recipe substitution - I am sure many of the frugal recipes from the past came about in much the same manner! We are taking part in a CSA this summer for the first time - getting produce weekly directly from the farmer. Buying a share ahead of time was a bit costly, but in the long run it should be economical. We will also being frequenting the farm markets all summer and putting by as much food as we are able to. Prices for produce are not much better than mid winter prices right now, so we are definitely rethinking our menu plans and trying to stretch the budget! I am using my fresh herbs and beginning to dry them for next winter. We have also expanded the garden a bit - every little bit helps. Meredith-Did you know you can grow celery super easy? When you cut the 'hearts'off of the stalks take the bottom 2" with the bulb intact place in water,wait for roots and then pop in the dirt! Grows fantastic! You can do the same ting with green onions, but you don't even need to wait for roots just take the white part with about 2 " on green and plop in dirt! It is just crazy, isn't it? I always buy pot roast at Costco, and get 2 good sized ones in package. Well, the same item , was 4.00 more this month. It makes an easy crock pot dish that I rely on for busy days less economical. Really frustrating. I know my grocery bill is much larger since we adopted 3 children this year, and I was just assuming it was doubling because of that- but I really think a large part of it is just higher and higher prices for our everyday foods.. I'm planting a garden. Long-term, I'm trying to plant a lot of things that generally cost a lot, like berries and asparagus. Right now I'm just learning, though! We have not had a veggie garden in many years but this year it went in! Since we can't afford the gas to eat out or go for a nice Sunday drive, we have time to sit home and weed the garden. It's time to relearn all those skills from the "Good Old Days". I was just thinking about this. I've been meaning to go through my inexpensive menu plans and figure out how much they really cost (I rely too much on how things seem). But my trip to the grocery store yesterday left me with sticker shock. I've been coasting along, cutting back a little here and there, but it's time to get very serious. I also need to consider what will cost less to prepare - having the oven on all day means pot roast may not be a savings if it means the a/c has to stay on twice as long! Oh yum! Since celery is a major craving for me right now, it is one thing I CAN NOT do without and thankfully I can get it just under $3 for organic, however I am definitely getting creative with other recipes!! Mmm... now I want some of that chicken salad! There are definitely some items that are just too pricey to make it to my grocery list any more. And celery is one of them!! Oh Meredith - YES! I can't believe celery in particular is becoming so expensive. It's the base for so many soups and stocks, too, which is a bummer. Has anyone else noticed that bell peppers are skyrocketing, too? I know they're not quite in season yet, but some are up around $4/lb in my area. I do that too. And actually, my favorite chicken salad recipe actually calls for artichoke hearts so that was a good choice! I have noticed bananas have about doubled in price lately, and our Kroger has a sign on the banana table that says prices are higher because of the unusually high number of storms experienced in the places that grow them, plus the increased costs of transportation. I guess enough people asked the produce manager that he decided to put up a sign! We are rethinking what we eat. I used to throw away the innards(sp?) of the chicken...I am now saving them and using them as soup base. Bits of pasta that are not used are now being thrown into soups. We are learning to make it go further. I think we are all going to have to sinch the belt tighter for some time to come. Last Wed. I had to fill my suburban with gas. I gave the clerk $120.00 and it did NOT fill the tank all the way full. Gas is $3.85 a gallon here. Up more than .10 in a week. I have not changed any recipes YET. I am sure it will come. For a long time I have used less sugar than called for in a recipe I make for the children. I have started giving the children less juice. I give them the 'required' amount (I am on the school food program for children) but I no longer give them 2nd 3rd and 4th cups of juice. Some of these children will drink juice all day long if I put it into their cup. I know that it is hot, we play out side, they need fluid. So I make a big jug of lemonaid or even tea for them to drink outside and offer juice at snack time. I have been reading for a few months now and I love it. Great ideas for living frugal but not "cheap". As for food prices, I am finding that even the commissary that I shop at is getting a bit outrageous. Not to mention the fact that the vegs/fruit I buy aren't in the greatest shape. I am considering doing a once a month trip for meat and staples at the commissary. I'll buy some frozen vegs and I'll freeze milk. Fresh vegs/fruit will be bought at our local farmer's markets. I live within walking distance of an Acme ( Albertsons, whatever ). I can watch the sales and buy up when their prices beat the commissary. Yes it did work - it was yummy! In Texas, restaurants are no longer serving raw tomatoes, because of a salmonella scare. I'm not buying any more tomatoes in the meantime as well. I used the last of my tomatoes cooked in a pasta dish. I love to eat sliced tomatoes as a side dish and it's driving me nuts! Yes we most certainly are. It is hard to call any meal frugal anymore. I remember when celery was .99 for a bunch. (Just two months ago) Wow how things have changed. My husband and I rejoiced when seeing a dozen of large eggs on sale for $1.29 Sheesh. But we gotta eat, so what did I do. I started a veggie garden this year. Tomato, carrots, garlic, parsley, basil, sugar snap peas, pole beans, cucumbers and onions. I made Chicken Salad the other day and was shocked at the price of pecans....but its just chicken salad without them. 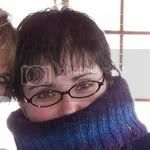 Hi Meredith -- love your blog. It's always a little ray of sunshine during my day! To answer your question, yes, I definitely find myself substituting things in recipe these days, or eliminating them altogether. Most recently I simplified a spinach artichoke dip recipe to include just the most important ingredients, and it tasted exactly the same...but it cost half as much to make. Yes! I just posted about passing on $2.89 celery too. My dh and I were married in the early '90's and went through a similar thing then--a few years of very high grocery prices. We did a lot of deep-discount-store type shopping, stocked up whenever we could on packaged goods--but what saved us on fresh stuff was the Good Food Box program that was run through the community centre. It was like a monthly co-op delivery--you paid in advance and got a boxful of fruits and vegetables, and it was much better than what was in the stores then. I wonder how water chestnuts would work? I have some I as well got on clearance. They won't have the pop of color the celery gives, but will give a crunch. I always substitute ingredients but NEVER in MY potato salad.LOL I'll throw caution to the wind and give it a try! Thank you for the idea! When celery is at a premium and I have something that I want that crunch -- I use a can of water chestnuts. They are not green but they have the crunch. Here in Norway I had to learn to think seasonally very quickly. As a newly married immigrant here my dear Norwegian MIL gave me a preserving book which detailed how much fruit and vegetables a "good wife" should put up to feed the family throughout the 8 months when fresh food was not available. (50lb fruit/berries, 65lb vegetables and 200lb potatoes per person in the family!) Although the book is now 50 years old and we can certainly buy fresh food all year round it is at a price! A cauliflower can vary from 7 kr (about 1.25) to 28kr each. You can be sure I freeze and bottle fruit and veg. at the height of the season...although perhaps not quite in the quantities above! Gill. I think the risk of sliced tomatoes is in commercially diced and prepped tomatoes, not whole tomatoes that you slice yourself. Similar to the green onion debacle at Taco Bell--where the onions arrive already chopped and one contaminated stalk can ruin a whole batch. These tomatoes came from a little stand a neighbor has in his yard each summer. they weren't quite at peak ripeness, but they were better than the grocery store. Yes, I am rethinking the entire way I shop for groceries. I hope it makes a difference. Meredith, in addition to reworking recipes if needed, I'm trying to not waste anything that we buy. This is probably my biggest money waster - letting things go bad in the refrigerator. I browned all of the ground beef I bought yesterday and then froze what I didn't need for sloppy joes last night. I'll be making vegetarian chili this weekend (EARLY in the morning because it's going to be very hot here!) so I can use up some of the celery, peppers, onions, etc., that we have on hand, rather than having them go to waste. Your substitution was a good one. Ledo's Pizza makes a chicken salad that includes chicken and artichoke hearts as its main ingredients. It has a little bit of celery for crunch. They put it on a sub and also use it to make a bruschetta - 1/2 inch or so thick slice of French bread, topped with a slice of tomato, then the chicken/artichoke salad, then some cheese (Provolone? ), broiled until the cheese is bubbly. Yummy! Finally (sorry this is so long! ), as long as gas prices keep going up, we'll need to not only substitute ingredients, but substitute entire dishes as it gets too expensive to ship fresh products from Florida, California, or South America. No more strawberries in January! Oh yes! I haven't added celery to our crisper because it has been too much. Peppers are also up in price, so I actually bought frozen for use in cooking. Doing without the fresh, which is a big shame as we love them. I have spent a lot of time looking for fewer ingredient recipes, and trying to use more "fillers" like potatoes to make the meal satisfying. I forgot to add that I'm looking forward to my garden producing, as that will add so much to our table. I got celery at Hometown Market in PA for 99 cents last week. But in a pinch, some minced radish would add a nice bit of crunch. I love the taste of celery in my tuna and chicken salad. As a substitute, I now sprinkle celery seed in the mix. Not the real deal, but it helps get me through this grocery crunch we are experiencing. I am absolutely going to attempt to grow celery as you describe, Renee. Thanks for the tip. And will try the lentil tacos, too. I also have planted hot peppers for the first time this year. Does anyone can their own jalapenos and willing to share tips? I had to laugh when I read this. I bought celery today for $2.79 a bundle...and it was a small bundle! I needed it for a salad I was making for my son's birthday party...it needed it for crunch, but also for the green color. So I didn't know what to substitute for it...thankfully this isn't an every day thing! Well...yes and no. I'm not a huge fan of the celery anyway, so I wouldn't be heartbroken. ;) I'm with some of the other ladies though here, I LOVE chicken salad with water chestnut in it. I've noticed prices inching higher and higher up - I've just started stockpiling more and more in response to that. The Mister is laughing at me because I'm all in a tizzy over roasting chickens being 99 cents a pound and milk on sale at 2 for $5 at our local Pick N Save. I highly recommend planting a Lovage plant. It's a perennial that tastes like celery. You just cut up the leaves and toss them in anything you want the celery flavor in. I actually went back to the house we just sold and they let me dig up my lovage plant. Now I have my chives and lovage planted right at the bottom of my back steps-easy to run out with some scissors and snip some while cooking. Apparently what we buy in the store as "celery seed" is usually actually lovage seeds. I have definatly had to rethink and reorganize my grocery shopping habits. Living in northern New England on one income is definatly a challenge, at times. I have found that the prices here are higher then elsewhere in the country and the pay is less for the workers. I, too, substitute celery seed or celery salt for the flavor, if I don't have any celery, and then just add another crunchy vegetable. It's a fun creative challenge! That tray looks wonderful - Beautiful presentation! Is that potato salad? yes, all our menus are changing and we are growing a Victory Garden. I'm thinking of adding some potatoes and onions to the plot. Sometimes I just add herbs or spices in place of celery, pickles, etc. Lemon pepper is especially good in tuna or chicken salad. We live in an area with lots of farmers' markets, so local stuff is still very reasonable. The only thing I am buying less of is meat and seafood. I really think eating well is an investment in health and, if you buy local and seasonal, in the local economy (my neighbors!). In lean times, my family cuts back on things like subscriptions, dining out, other entertainment, etc. We don't cut back on fresh produce! And we live on one modest income, have school loans and a renovation loan to pay off, plus the mortgage. Thanks for the godly help with being frugal!! I have been making chicken salad for several years now with shredded cabbage " bagged " , mayo, dijon mustard , whatever nuts I have on hand , and sometimes bits of fresh fruit that I need to use. The cabbage really extends the chicken . It also ads a nice crunchy texture . Which can help with celery withdrawal . My DH loves this chicken salad !!! Oh and sometimes I add sweet pickle ! I have been able to find celery for 99 cents at our 99 cents store , it's where I sometimes find the shredded cabbage for 99 cents a bag . u-pick place for $1.50 a pound, I'm sure much healthier anyway. As to what I would substitute for celery, I don't know if they are sky high too, but I think cucumber would be nice, it is green and has that great crunch. We're getting ready to order 50 more meat breed chicks to raise before the winter, so we can fill the freezer. We're planning on getting some weaner piglets and putting them on the current garden's remnants and then onto some pasture, as well as with some corn and grains that a friend is raising for us (we're going to raise 4-6 pigs, and they get half, we get the other half). I'm cutting back as much as possible, in any way that I can, these days. Every big store is at least 20min away, so a gallon of gas there, and another gallon back. Can't afford it. So I'm eating off of the pantry. I bought some big bags of flour, a good bit of rice, and some bulk sugar as well, to put away for use later. I'm going to be "upicking" some blackberries later this month, hopefully. Make some jam (so I will need the sugar), since that is something we can, do, and will eat a good bit of over the winter. Mar, it's not so much cutting back on fresh produce as it is choosing the types of produce we buy more carefully. I won't pay a premium for celery when I could buy local tomatoes for even less and then add artichoke hearts to flavor the chicken salad. I agree, though--it's a much better strategy to pare elsewhere than in our nutrient rich fruits and veggies. I have used chopped cucumbers in my chicken salad sandwiches. Rising gas and food prices and medical bills for my youngest son have really impacted our family budget. I am using less meat, cheese, and milk. Instead of frying 6 or seven pieces of bacon or sausage for breakfast, I dice and fry one or two slices and sprinkle them over scrambled eggs (Same taste at lower cost and fewer calories). I halve the meat in many recipes. I have started pre-portioning meat, and suggesting my kids fill up on sides rather than taking seconds. I sprinkle a few tablespoons of grated cheese over tacos and casseroles rather than a cupful. I limit milk-once my kids meet their daily calcium and vitamin D requirements they get water or decaf iced tea. I cook more vegetarian dishes. This summer, I will simplify things as much as possible. The kids and I will stay home, invite friends for playdates, swim in the neighborhood pool, and keep the car parked in the garage. We are fortunate to have a library, pool, grocery store, park, and movie theater within 2 miles of our house, so I think we can meet this goal. I was in an Safeway in a major metropolitan city today and saw they sold celery by the single stalk at $1.69 / lb! I'm sure they sell it by the stalk because many people have small kitchens or only cook for 1 in the neighborhood, but thought of you when I saw this! I certainly did work 'cause it was yummy!!! Good idea, Meredith! Gas just $3.85? Try $4.25 here. One station is changing the price sometimes twice a day. We buy bulk stuff and eat a lot of soups. By bulk, I mean large sacks of beans, rice, and cornmeal. There are just two of us so we typically buy a ham and that's meat for two weeks. We are putting in a garden, so I am hoping to have a good fall crop of potatoes and cabbages. There are some things we probably will buy, like winter squash, as we have a short growing season. And we'll be canning more this year too. I'm not sure if it's a case of "these days" as much as "like people always have except for the last, oh, 20-30 years or so". There have been a lot of good social changes in the time I've been alive, although like all good things there has been a price. My feeling is that price is the loss of basic skills needed in tougher times. The late author Robert Heinlein once wrote a long quote that ended in "specialization is for insects". I think that's true. As for the celery, it's been over 2.00 a stalk in my area for years and I'm almost always too cheap to buy it. When I could find a wilted bunch I'd freeze individual stalks for stock making but it was by no mean a frequent purchase. I understand that celery leaf is fairly easy to grow - might be worth looking into. I'll have to check my receipt from Aldi's. I paid less than $2.00, I'm sure. I cut celery into very tiny pieces when I use it, so a bunch at $2.79 would have a low per-use price (by my standards) if that bunch is stretched out over 5 or 6 recipes. KWIM? 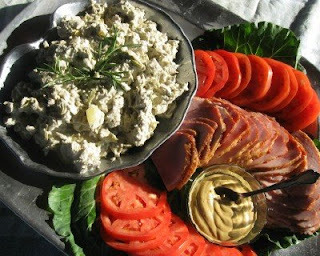 I have two wonderful recipes that call for water chestnuts or cubed apples (curried tuna salad and chicken salad). Both are good substitutes. I planted our first square foot garden this year. We plan to pick our own fruit for the first time this summer and shop at local farms for fresher/cheaper produce. Celery--the one veggie I don't really care for! We joined a CSA also for the first time this year. Our first pick-up was today, and we got the most delicious lettuce and carrots, and several other types of greens, all organic and local. We also plant a large garden, but our micro-climate at home has our plants coming in later. Also (and I can't believe we're finally doing this) we have just hatched some chickens and guineas (natural pest control) and set some duck eggs in the incubator today. We'll use the eggs, but I'll have to think about the meat! Right now they are my little babies. We are NOT farmers--DH is a software engineer--but it is good to feel like you are doing some small thing to reduce the pressure on the global food supply and to reduce the environmental impact and cost of transporting your food great distances. As far as the grocery-store shopping, I actually think I am spending less these days because I am paying so much more attention. I track prices in my day planner so I know for sure if a sale is really a good deal, etc., and I have been shocked at how much lower Aldi prices usually are. I also have found I am more truly and consciously thankful for what we do have, for every healthy meal I am blessed to be able to serve my family. I remember when celery was, like, 69 cents and it wasn't THAT long ago!! We are either plant a garden or starve! Creative...I like it! As far as substituting, I tried to pull the dry milk trick on my husband some time back (mixing dry milk reconstituted with whole milk) only to find him pouring half a carton of milk down the drain because "it tasted funny!" Arrrrrghhhh! Renee, thank you! I am going to try that with my celery! Living overseas, I've had to substitute or do without celery. It is not always available. Since we arrived in February, I bought celery once. I don't remember how much it was, but it is expensive, most likely more than the $2.79. We splurged on it for our Easter potato salad, and it's likely we won't see celery again until next spring. Oh yeah! I am substituting with what I have on hand or using my creativity! I also planted the mother of all gardens -- that thing is huge -- and I am going to can/freeze most of it! I enjoy gardening and canning so I thought I would take things into my own hands this summer and help us cut costs! Just this morning at the grocery store I substituted a green bell pepper for an orange one (the orange one was 70 cents more expensive!) and I substituted frozen cheese raviolis for frozen gnocchi, which was about 30% more expensive. I have done some other things too like using soggy cereal that the children did not finish in making muffins. I agree with others---I wish the stores would sell celery by the stalk! I don't use a whole bunch in chicken salad or potato soup and then by the time we plan to have "ants on a log" (pimento cheese and raisins) the celery may be wilted. I usually will go ahead and buy what I need for a special recipe. I would balance it out by paying less for other items. If I decided against the celery for my chicken salad, I'd just cook something else with my chicken. We are fortunate to live about 3 miles from a great farm. They didn't have celery yesterday but I did get squash, zucchini, and bell peppers for .79/lb. martha a: Make it a potluck. Almost all of the baby shwoers I have been to have been potlucks. The host provides the cake. "i am in georgia and the prices of food are insane i cant believe how they expect people to survive like this. great idea abotut he substitution"